The Arctic convoys of World War II travelled from Britain and the United States to the northern ports of the Soviet Union, Arkhangelsk (Archangel) and Murmansk from 1941 to 1945, providing vital supplies to the USSR. "The Arctic convoys, described by Winston Churchill as the most dangerous of the entire war, transported four million tons of crucial supplies and munitions to Russia between 1941 and 1945, supporting the Red Army in the conflict. 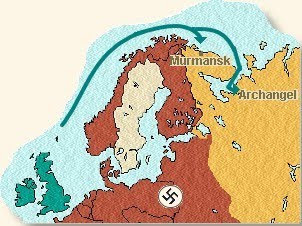 As Germany occupied Norway, the British ships had to take a treacherous northerly route, often skirting the Arctic ice floes, before dropping south into Russian ports including Murmansk and Archangel. 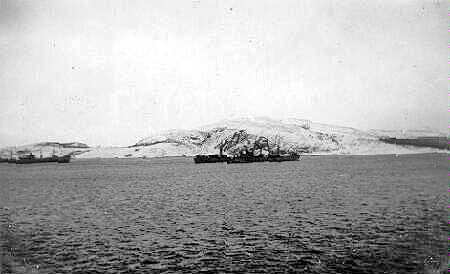 In bitter cold, the merchant seamen and their Royal Navy escorts endured repeated attacks from both U-boats and Luftwaffe bombers, often sustaining heavy losses. Just under 3,000 British seamen were killed during the convoys, the majority never recovered from the icy waters. More than 100 British ships were sunk during the campaign." The cover below was mailed to a seaman on board the SS Empire Scott, c/o GPO London, on October 1, 1943. 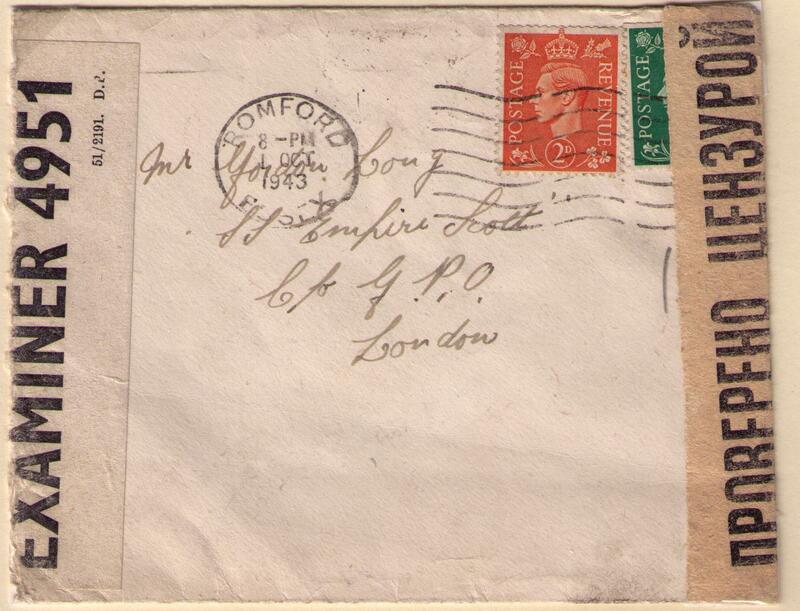 The letter was forwarded to Murmansk and received November 2, 1943. 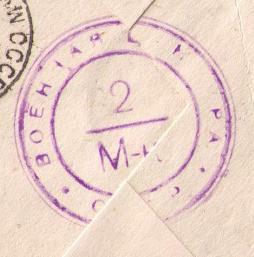 The letter was censored by British and Soviet authorities. 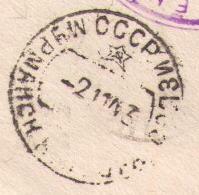 Forwarded to Murmansk, November 2, 1943 receiver. 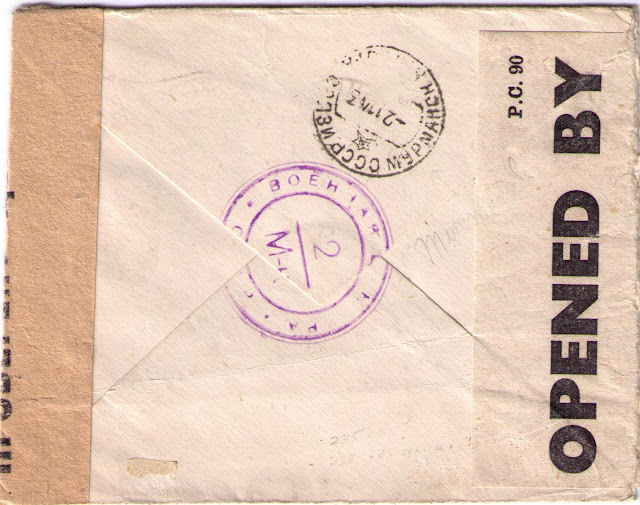 SS Empire Scott sailed on convoy JW.53 from Loch Ewe to Murmansk on February 15, 1943, arriving on February 27, 1943. Records show that the Empire Scott sailed on convoy RA.54B from Archangel on November 26, 1943, arriving at Loch Ewe on December 9, 1943. 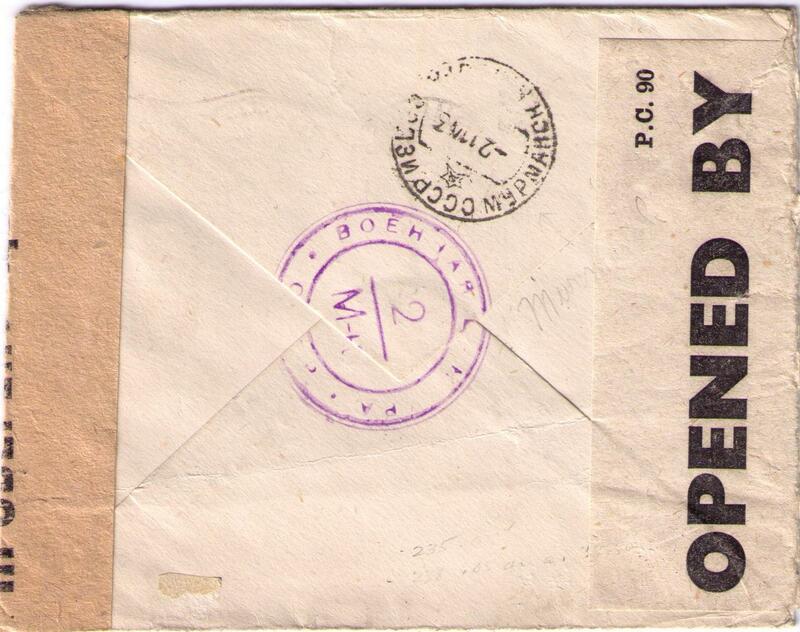 Was the SS Empire Scott in the Soviet port from February 1943 to November 1943?